So my precious friend Amanda is nursing another hurt ankle ... or as she calls it Anklegate 2.0. Since there is very little I can do to support her other than pop in with happies and send her funny texts to lift her spirits, Little Bit and I decided she could use a yummy dinner! And since we all know cooking isn't my thing ... I had to make sure I made something I knew would be delish! Lucky for all of us ... I am a master of the Walking Taco!!! 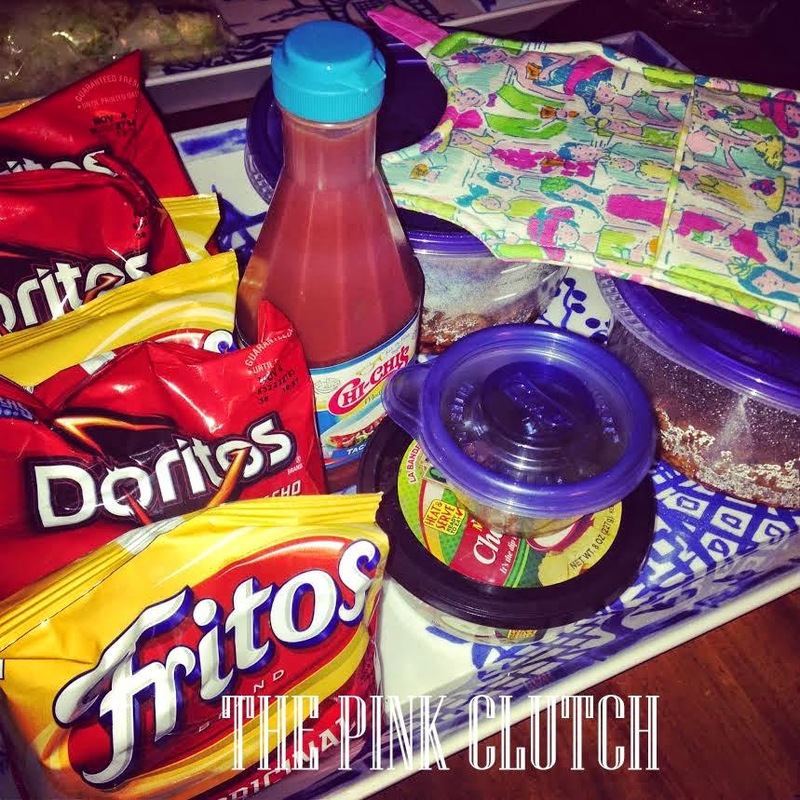 These are the yummiest tacos we have ever eaten and the bag makes them so fun to make and serve!! Cut the top of a small bag of Doritos (my fave) and crush the chips in the bag just slightly so you have room to load up your toppings. Add in two spoonfuls of meat, some shredded cheese, salsa, sliced green onions and top with shredded lettuce. I also love to chop fresh avocado and add in to mine, but the avos were all hard as rocks at the store that morning! Once your bag is dressed properly ... use a spoon and dig in! These are perfect for a crowd and a party. And so fun to set up. Trays for your chips and small colorful bowls for your selection of toppings. We served them week after week at the swim meets this summer and sold out almost every single time! 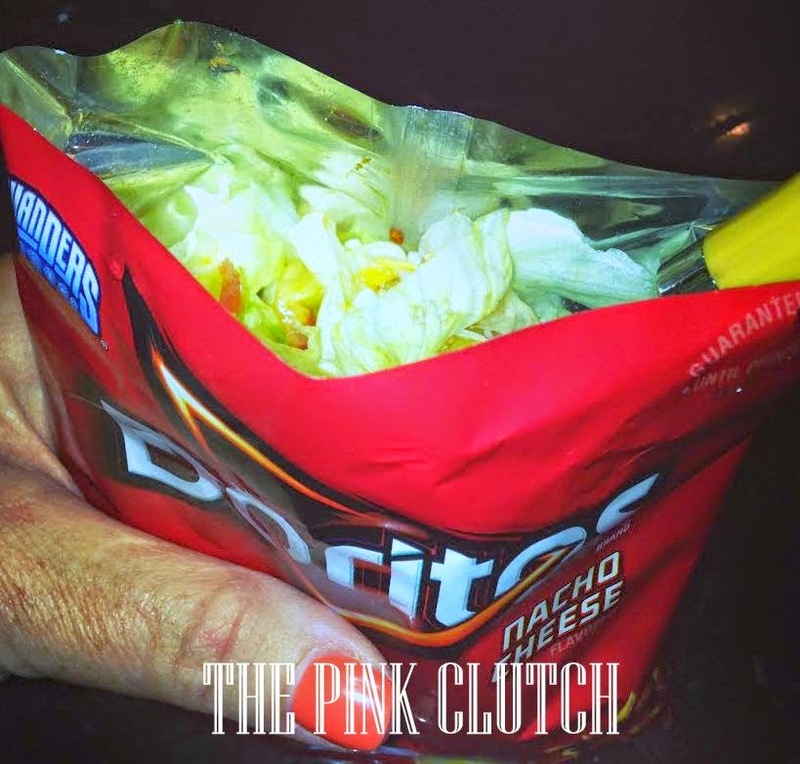 Some people prefer to use Fritos, but I am a Doritos girl! I save my Fritos for chili and cheese, which is another great version sure to be seen here very soon. Well, as soon as it cools off! We love you Skips!! Here's to one healed ankle ASAP!!! Sounds great! Thanks for sharing! I've only done Frito Chili Pies that way! !